Below is info on one of the groups here in tokyo that does networking - or rather they found me through the introduction of Jane Best from RIJ. I am going to go next week and sus it out. The schedule is not exactly set yet (except for the NPO networking time). But there will be 5 or 6 speakers and each get 30 min - 15 to present and 15 for discussion - some will be in E and some in J. From Jan they will do this once a month and asked me to help find ngo npo speakers - might be a good merger for our monthly happy hours/luncheons. Actually - I was just asked to give a short presentation on Nonprofit NGO outreach at this event on Monday night. come along and please do share the info with friends! 19:00 - 19:30 NPO Nite Organizations share successs stories and best practices. and i found out about several event but nothing too big or well publicised. * Burma and the finger printing issues took main stage this year. Reaffirms my need to keep studying and the importance of knowing how to explain things to people who come from different backgrounds – people who might be mobilized but might not have the opportunity in their busy lives to think deeply about world issues. So much work to do and so many people need motivation and a tug to get started. What will the Climate change conference in Bali bring? After hearing from the nonprofit NGOs involved in this I am concerned mostly about co-option rather than lack of power or influence. perhaps with out the "pocket book angle" there is no real impact? So many events going on in Japan and all over the world. Will the Japanese media again miss the chance to highlight this very serious issue? We have lots to be thankful for and it seems that we forget this. Our lives in Tokyo are so busy, people rushing here and there and people around us in Japan always focus on the things we cannot do rather than what we can. The nonprofit NGO world here too has much to be thankful for ... we will have the international media spotlight. 2008 will be a good year we have the TICAD and G8 – lots of attention will come to Japan. How we use that lime light is up to us. 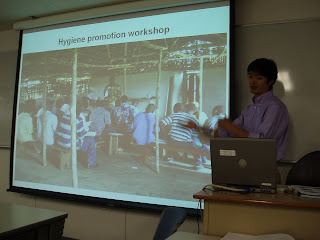 On Nov 17, Marc Saito from Peace Winds Japan was a guest speaker at my TUJ course on the Japanese nonprofit NGO sector . After introducing the organization and the background info - he foucsed on two areas he has been involved in - Water and education support in Afghanistan and Liberian refugee support in Sierra Leone. Everyone learned so much about what goes into developing an emergency relief project. We understand the difficulties people in the field face but the real face of it is hard to imagine. His sharing of his own experiences has invaluable. Support from governments and the public in places where security is an issue is something many of us had not thought deeply about before this talk. In the talk about refugee camps it also became clear to us all that one of the most difficult parts is resettlement. there is little funding or government support for this long process which is integral to the establishment of stable communities. This movie was very intense and seeing it a second time was very good for understanding more details. But I still feel a bit lost. I am not sure what we can do. Unlike Invisible Children, which seems far away but a more concrete problem. but the problems are so huge - where is the iriguchi to making a change? We talked about contacting heads of airlines and requesting they start an inquiry in to where the fish they use comes from. It might take time and lots of voices before there is any response but I think there is some way to push the envelop on this. just like they do with sports clothing companies. Most poignant comments to me were about developed countries allowing conflict to go on and that this helps business. But this was not just in reference to arms or fish but also to the humanitarian aids business becoming such a big business. These emergencies allow UN jobs to flourish … hmmm what do you think? Makes sense to some degree. Brad Adams, the Asia Director from Human Rights Watch was recently in Tokyo meeting with various NGO, government and press people. This was mostly an adovcacy trip and his main focus at the press conference was on Japan's diplomatic role and the importance of Japan's role. He focused his talks on Myanmar, China, and Pakistan, and based his talk on the concept that Japan's role and prominence in the region could make a real difference. He also talked about the fact that no one from the Japanese government would meet the Dalai Lama during his nine-day visit here. Not surprising but after the visits to the US and Germany, we know that the China bark is worse than the bite. it is interesting than much of the press that followed this PC lead with this issue and not the meaty ones - Burma or Pakistan or even the local HR issues. This year we had another great group of people. On Nov 2 we focused all day on how to write an action plan. Then on Nov 8 we reviewed plans and I went over areas of concern. In the afternoon we focused on how to present the action plan. Then on Nov. 13 - I reviewed everyone’s narrative draft while they practiced the presentations. I was surprised at how few people there were and how basic the seminars were. I did an intro to TUJ NGO mgt course but really most of those people would not know what ngo really was. * Kaori and Nadine introducing the NGO mgt program to a prospective student. Dave Mori recently spoke at my NGO mgt course about entrepreneurship and networking. I knew he would be the right choice Dave is such a good speaker and so warm and concrete – hE was spot on and inspiring for the class. Dave is involved in a number of interesting orgs besides running a company called English ok! 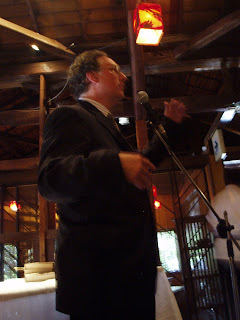 He ALSO runs the Entrepreneur Assoc of Tokyo www.ea-tokyo.com which features interesting speaker – all of whom are entrepreneurs in very different fields. People learn skills, share mistakes and good practices so that everyone benefits. The timeline was really right too they are just starting on their class projects – outlining an NGO structure, vision mission, project etc http://NGO-601.blogspot.com. I joined the Nov 6 meeting as an interpreter for the staff from Oxfam UK. It was very interesting. There are so many things I forgot the importance of – Japanese “group setting”, the intro period taking more time with a group of people who do not know each other … everyone has to understand where we all stand in the pecking order before we can define what we say and how to say it. Having to explain this however is not easy if you do not understand Japanese social structure and communication style. We did a group exercise that could have easily taken 1 hour but we only had 10 or 15 min. our groups was to talk about whether or not it was Japanese NGOs should have an organized campaign for the G8. A problem quickly came up – some people were talking about slogans and messaging without even considering the Q at hand and/or what the goals and objectives of a campaign would be. The Nov 3 Juan Cole talk was also a good chance to support a local groups with some small funding. Through an open selection process we chose Peace Kids Soccer (PKS), which has programs, focused on developing trust and dialogue through sports for Israeli and Palestinian youth. Mari Maruhashi save a really great intro to their work – I hope they will find more supporters to support their work! Professor Juan Cole’s talk was enlightening. His demeanor and humor helped make a talk that could have easily been dry and depressing, very engaging. The US just uses up too much petroleum products. Really – no mystery there but the historical background and his introduction to the connections between people in the current US government and oil businesses and related interests was very easy to understand and put the light on many things that were previously vague. His research into napoleons incursion into Egypt is hauntingly familiar to the US approach to Iraq. It is clear that we humans do not learn form past mistakes but this made it even more clear how we can already see it repeating itself in front of our eyes. Oct 30 started with a review of key events between now and the G8 with the expectation that we select 2-4 dates for common action/campaigning. These were to be events that were of international significance and not limited to some of any nations. 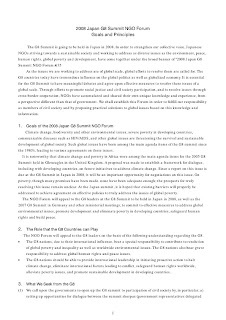 Key goals were for the launch of the campaign, a mid-term point and just prior to the G8. Oct 29-30 face-to-face meeting of NGOs from each of the G8 countries except France. 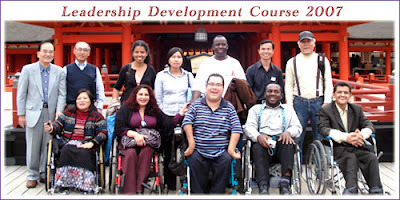 It started with an intro to the Japanese nonprofit ngo sector and the status of advocacy in Japan. Takumo from Oxfam J apparently did a great job and I wish I had not missed it. I would love to have him as a speaker in 2008. Reps from each of the other countries followed up with info on the progress of their work related to the MDGs and/or increasing ODA. This was very informative. Session 5 started with an overview of objectives and the pillars of campaigning. Participants on the campaign we then started a break out session where groups of people from different countries shared campaign experience and talked about what worked and what did not. I worked with people from Japan and Italy. Very interesting! Drawing upon EU experience, they talked about demographic change and labor migration in Japan. Reflecting on their experience with rapid economic growth several speakers addressed the struggles faced with migrants. I missed the session on policy but I had low expectations of the government speakers. I wish I had heard more about the “guest-worker” system which has been controversial in many countries. Here in Japan, it is not such a talked about issue ﾐ yet. I have one lingering question and that is if there is still any desire for the integration of immigrants in Japan. I did not sense that but I only attended two sessions. I have often wondered about how the right wingers work and I still do not know but I do know that they do affect people working in the area of human rights and those more forward looking on migration. They must have a lot of free time on their hands but I was surprised to hear that people at some groups felt threatened. One issue is that government officials might not know which orgs are legit or not and allow. If A organization says we are NGOs representing X view and B org says we represent another view they do not necessarily have the sophistication, experience or perhaps interest to discern the quality of data or information. Another issue is the idea that ngo means anti- government to some people still. Not seeing that freedom of speech is important and that disagreement naturally comes out in dialogue. Sometimes in Japan it is not okay to agree to disagree ﾐ so disagreement puts you on the "outside". Reading a number of manuals on management and motivating people got me to rethink how much what Kyoko at JUCEE did was right on track and kept people coming back. i am so bad at the "valuing" part of the volounteer mgt. bit. as one person said in my NGO mgt class recently - i am a bit too corporate - expecting people to do as much as i do and expect that everyone sees that volunteering is juts one type of job. you have outcomes to achieve and it is a commitment. a bit too idealistic maybe? On the afternoon of Sat. Sept 29 there was a Demonstration in front of the Burmese (Myanmarese) Embassy. I heard different reports on numbers but there were a lot of people there. There was also a march on Sunday Sept 30. Funny that a picture of the candle light vigil made it to the cover of the IHT but not the Asahi. Like with Sudan, we need to work with the Chinese government and others in the region. Nonprofit NGOs also need to play a role in pushing our governments to be more negotiation oriented. A touching drama based on the life of Joseph Merrick, a remarkably sensitive and intelligent man trapped inside a hideously deformed body. This is an overwhelming story of immense human suffering, abuse, and final salvation thanks to largesse, kindness and humanity. *There will be a special director's talk following the matinee performances on Saturday and Sunday. Get information: Foreign Executive Women’s Volunteering Directory (http://www.fewjapan.com/volunteer/volunteering_directory.html) and JANIC (Japan NGO Center for International Cooperation http://www.janic.org/en/directoryofjapanesengos.html) have information in English introducing organizations. One of the most frustrating things about doing workshops in English is the fact some people will come thinking it is for English "brush up". 1. Tonight I was asked how long I was an English teacher and I said that the class was not a language class but she did not get the point. 2. I did an all day workshop and the first person in talked about brushing up her English. Activist skills workshops will not help your English. 3. I kept getting emails from a woman who wanted me to check her grammar although after repeated attempt I had to tell her that this was not an English course but a course about the MDGs. It was in English because it was a training course for people who want to work in international orgs. I just need to get used to this I guess. September 30: the People for Social Change (PSC) will run its 10th forum including a panel discussion featuring speakers from NGOs working in the field of disaster prevention and relief and workshops –on education and volunteer management - all in English (http://people-for-social-change.blogspot.com/). Tomoko from QQ*Respect Campaign recently wrote me about the JT articles. She linked both on her C is for Curiousity Blog & wrote a short intro to the articles in Japanese. An interesting point in reading this is that she assumes the article is for non-Japanese people only - even where there are general statements like - people not knowing where to start when they want to do some volunteer work. So much work left to do here! On Tuesday Sept 25 I will do a workshop on action plan development for JICA's sports program for PWDs (people with disabilities) . The Japan Times printed my second article on Tuesday Sept 18, 2007. I get tired of people complaining and talking about how tough things are - so I wanted to focus on what things can be done. In the month of August - because i had some free time - i thought i would survey about 50 people i know who work in a wide array of nonprofit NGOs. They all gave me so much valuable information and ideas I could not use all thier ideas and comments - but I tried. I will be using other the data for one more article later on in the year. Before I left for my summer holiday to Italia, I submitted 4 articles to three publications - 3 are being published this month. The JT will print another article this month - on Sept 18. Being A Broad Magazine is also printing one article in the September edition. See my other posting. 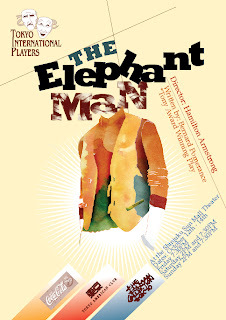 Once "Elephant Man" is done I will started doing a survey on Corporate - nonprofit NGO collaboration. If you see it around - be sure to pick it up! At this years Ueno NGO Matsuri , the PSC showed "Invisible Children"
I did not even know that our previous showing was covered by the Kyoto Journal, "PSC's screening of Invisible Children in Tokyo shows the spontaneous power of grassroots social change at the transnational level." This was the 4th annual Matsuri and 2nd time the PSC joined. 200+ people came to whole day open house sponsored by the nonprofit NGOs housed in the Maruko Bldg aka the "NGO biru." We showed the DVD twice - at 11am and 2pm the one hour viewing was followed by 30 min. of discussion. Only 25 people attended but 7 NGO reps also joined and asked me how to get a copy. Viewers were deeply moved and many people seemed interested in spreading the word about the situation these children face. Trafficking in Africa: A Focus on Women and Children’ by. Thanh-Dam Truong and Maria Belen Angeles,. 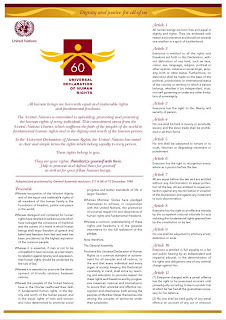 UNESCO (March 2005). ...... aspects of migration and human trafficking in SSA.